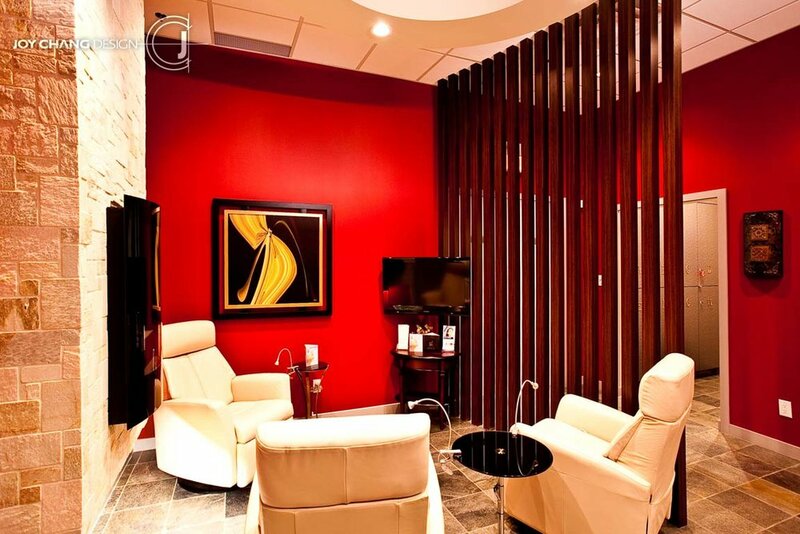 Empire Clinic + Spa — Joy Chang Design Inc. 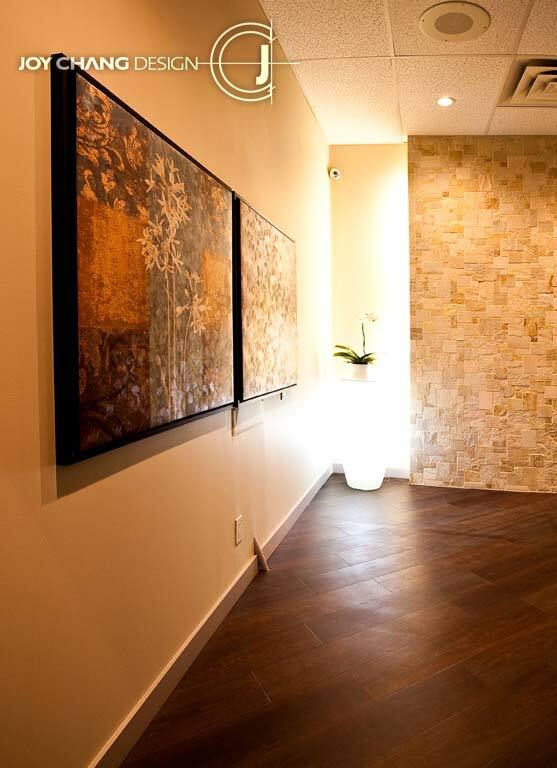 The combination of grey elements, dark wood floor, and slate tiles has successfully created warmth & relaxation feeling for this high-end Clinic & Spa space. 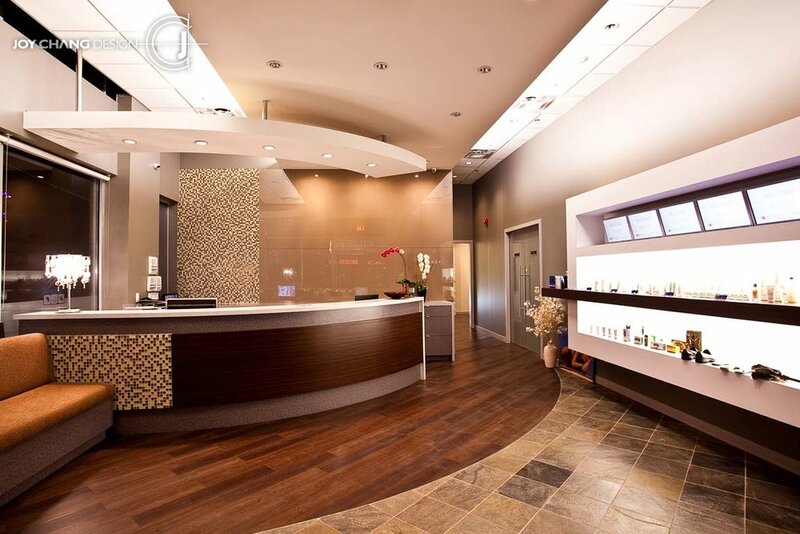 The curved reception area adds a soft tone to the space that is dominated by straight lines, and introduces the space to flow gracefully from the reception to the designated VIP area. 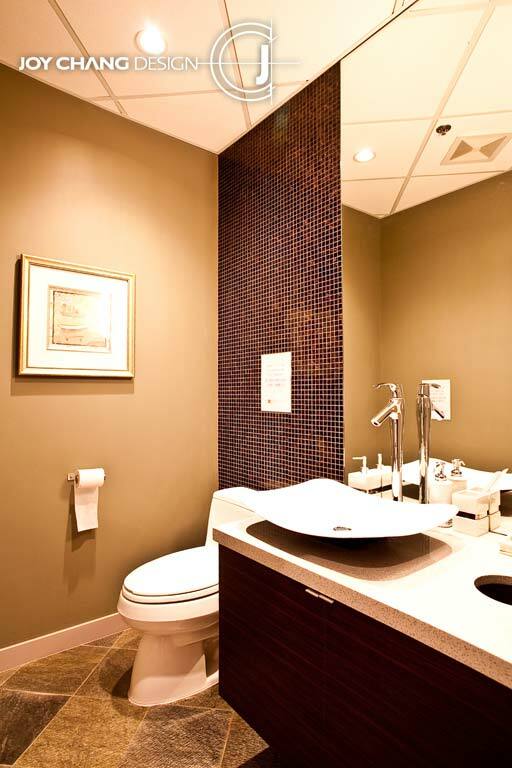 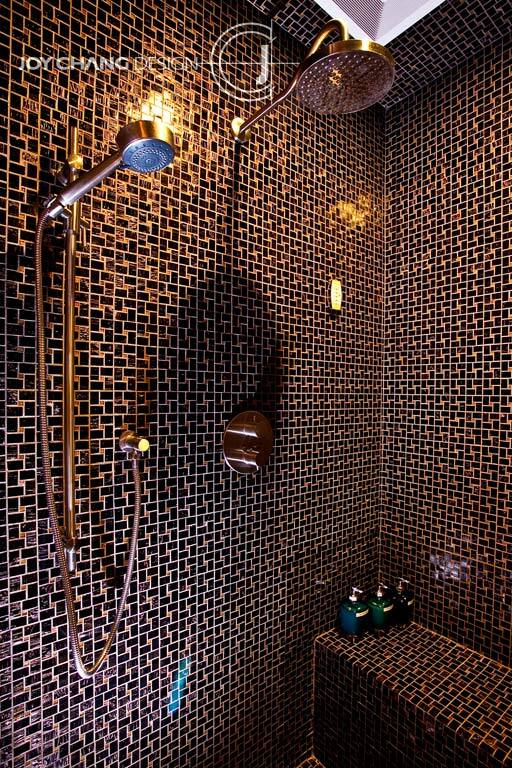 Overall, these design elements have embraced the entire space with peaceful, soothing and welcoming atmosphere for their clientele.